Simba Toys and Toybank bring joy to children at YMCA! 3rd of March was a super-fun day for the children at YMCA, Juhu Beach! Toybank partnered with Simba Toys,India for this event. Simba Toys is the global ICC licensee of the 2011 Cricket World Cup. The children at YMCA played Football and Cricket with our volunteers Akshay, Manan, Vinit, and Grishma. Later on we went into the centre to have some water and then started with the Toy Distribution. The children were so energetic and enthusiastic that even after 2 matches of Football and Cricket they were jumping with joy and started playing with the gifts they had received. “Sometimes in life you get a special warm, happy feeling, and that makes it worth the struggles, complexities and stress that comes with day to day life. Yesterday I was hit by the same feeling. We met the children at their shelter at Juhu and engaged them in games of football and cricket on the beach. At first they seemed shy, but it was gone in no time. In fact they soon got so engrossed in the game that the boys even removed their T-shirts so as to be able to play more freely. 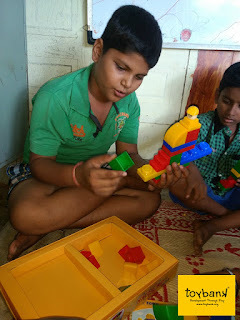 We took part in an initiative called Toybank where we took unused toys that were lying around all our houses from when we were kids and used them to give happiness to others. 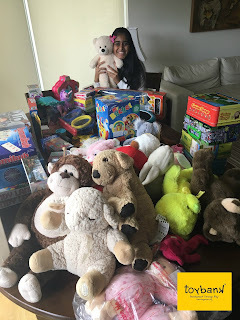 These unused toys meant nothing to us but to the children at the YMCA Shelter kids they gave a lot of joy, excitement and most importantly, hope. We gave them toys and even asked them about their ambitions. Some wanted to become a footballer, a policeman, a doctor, or join the military and one guy even wanted to become train driver etc. Pictures of this event – Coming Soon!